The 7th Asia-Pacific Regional Conference for Solidarity with Cuba opened in Hanoi on September 8 with the engagement of over 250 delegates from 18 Asian-Pacific nations. President of the Vietnam Union of Friendship Organisations (VUFO) Vu Xuan Hong said the event is taking place in the historical context of Cuba and the US declaring the normalisation of bilateral relations. Cuban international friends, including Vietnam, welcomed the decision of the two countries’ leaders and regarded this as a progressive victory for the people and friendship-solidarity organisations with Cuba, he noted. The event creates an opportunity to embrace regional links and build a world of peace, stability, cooperation and prosperity as well as promote equal rights and respect for a country’s sovereignty while encouraging peaceful measures to resolve disputes based on international law. President of the Cuban Institute of Friendship with the Peoples (ICAP) Kenia Serrano Puig said the event illustrates the solidarity, traditional friendship and comprehensive cooperation between Cuba and Vietnam over the past 55 years. The conference also highlights the significant achievements that the Cuban government and people have made in economics, political security and external affairs, she noted. 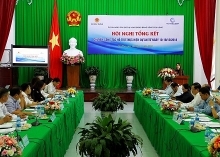 Vice Chairwoman of the National Assembly and President of the Vietnam-Cuba Friendship Association Nguyen Thi Kim Ngan extolled Cuba’s attainments and their active contributions to global peace and independence. 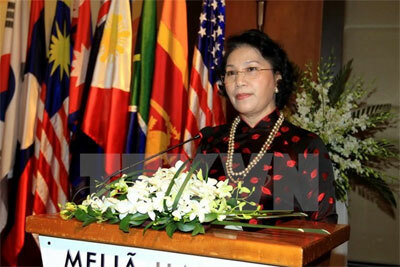 She stressed that Vietnam welcomes Cuban President Raul Castro and US President Barack Obama to declare rapprochement, adding that she believes the historical declaration will meet the legitimate interests of Cuban and US people, contributing to maintaining peace, stability and cooperation in the region and around the world. Supporting and promoting solidarity with Cuba is the consistent policy of the Vietnamese Party, State and people, she said, adding that the two countries have always supported each other despite their geographical distance. During the two-day conference, participants will discuss the role of friendship-solidarity organisations with Cuba in removing economic-trade-financial embargos and seek measures to enhance solidarity movements with the Latin American country./.